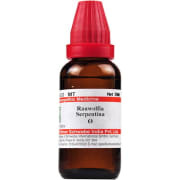 Dr Willmar Schwabe India Rauvolfia Serpentina Mother Tincture is a homeopathic formulation with the active constituent reserpine, which is well-known for its antipsychotic and antihypertensive action. It is used for calming the central nervous system and is helpful in reducing anxiety. 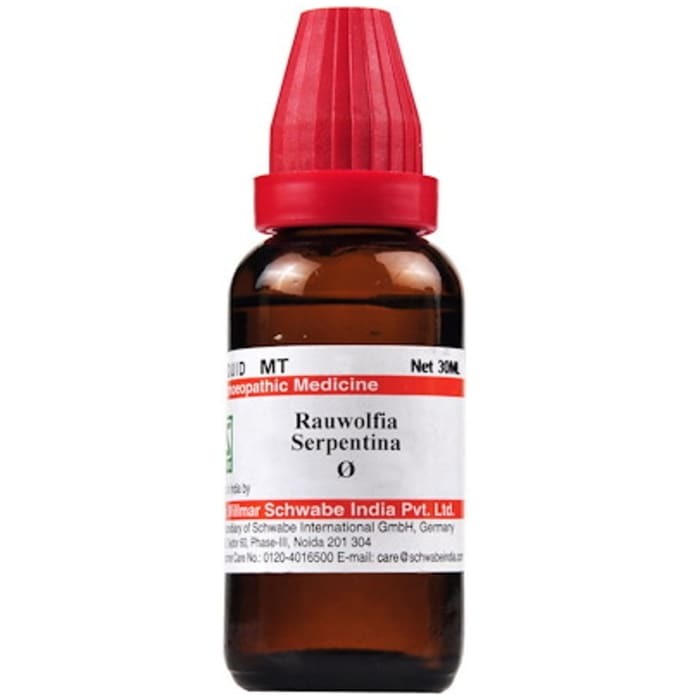 A licensed pharmacy from your nearest location will deliver Dr Willmar Schwabe India Rauvolfia Serpentina Mother Tincture Q. Once the pharmacy accepts your order, the details of the pharmacy will be shared with you. Acceptance of your order is based on the validity of your prescription and the availability of this medicine.